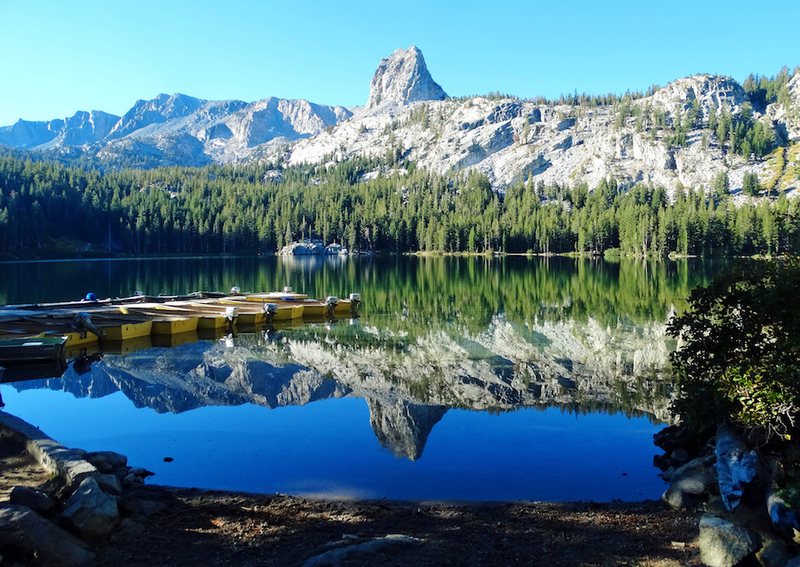 The nation’s hottest aquatic top-speed event continues to deliver thrills. Strange as it may seem, Central Missouri—not South Florida or Arizona—has become the epicenter of the go-fast boating universe. 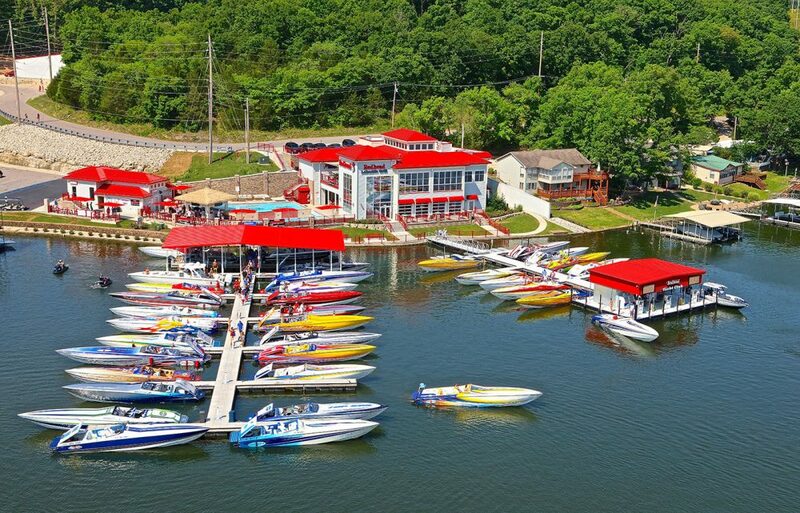 It’s home to three offshore powerboat racing teams, the back-to-back Super Boat International Superboat-class World Champion Performance Boat Center outfit chief among them, vaunted high-performance catamaran and center console builder Marine Technology, Inc., and, of course, the Lake of the Ozarks Shootout. 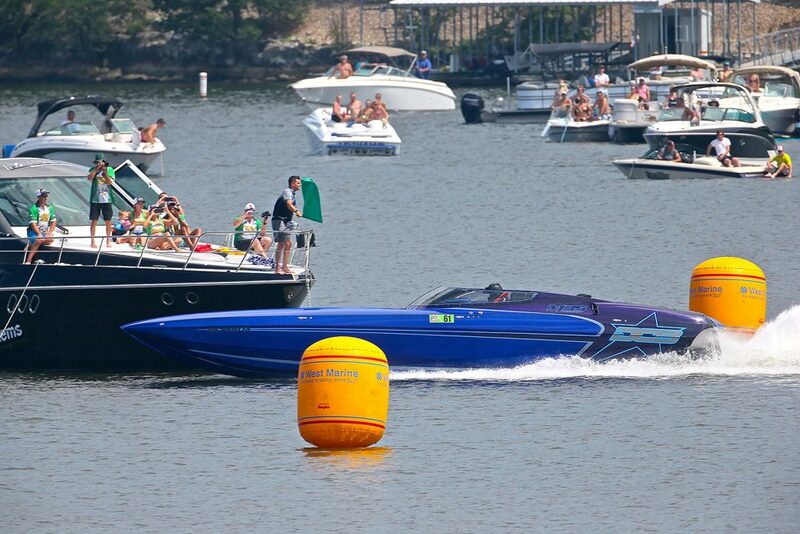 Run on a three-quarter mile course, the Shootout is the nation’s premiere go-fast boating top-speed event. Last month, the annual happening based out of Captain Ron’s Bar and Grill in Sunrise Beach turned 30 years old—a big milestone to be sure for something that started as a grassroots, run-what-you-brung event and now attracts professional- and amateur-class teams from across the country. In the past 30 years, the Shootout has seen amazing triumphs such as a 244 MPH pass by turbine engine-powered 50 Mystic Powerboats catamaran and one tragedy, the accident that led to the death of Outerlimits Offshore Powerboats founder Mike Fiore. Appropriate for such a milestone, competitors at this year’s Lake of the Ozarks Shootout turned in some phenomenal radar-captured performances despite the difficult windy conditions on the course. Here’s a look at five highlights from the event. Factory Billet raised the V-bottom top-speed bar to 162 mph this year. Photo by Jeff Helmkamp/Jeff Helmkamp Photography. Last year, the Factory Billet team of Jim Schultz and Mike Faucher ran their canopied 51-foot Outerlimits V-bottom to a 161 MPH tie with the father-and-son duo of Dennis and Jason Parvey in their open-cockpit 43-foot Black Thunder. This year, with the winds pushing their hide-sided hull all over the course, the Parveys bowed out with a 153 MPH run on Saturday. On Sunday, Factory Billet raised all-time Shootout V-bottom top-speed bar to 162 MPH. With 9,000-hp worth of engines under the hatch, the 51-foot canopied American Ethanol catamaran built by Mystic Powerboats was the odds-on favorite to repeat as the overall Shootout Top Gun. 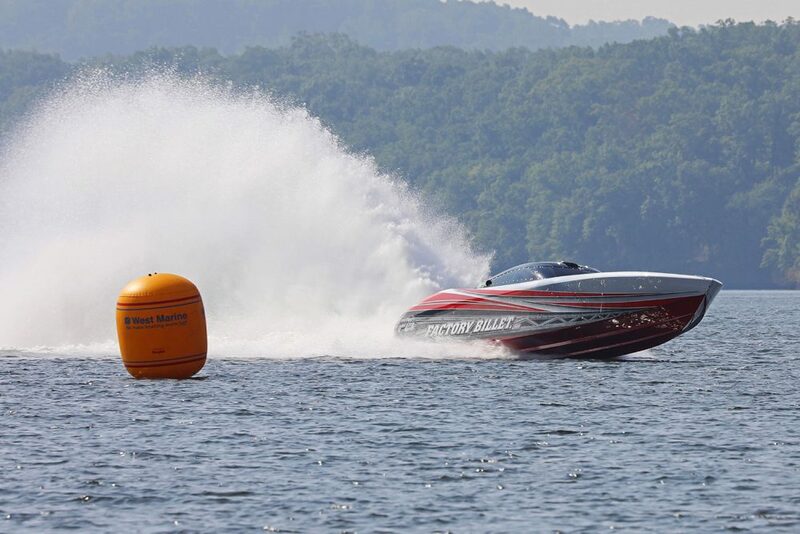 With Mystic’s John Cosker on the throttles and Big Thunder Marine’s Tony Battiato behind the wheel, the cat reached 204 MPH on the course in 2017, which was shortened that year to its current three-quarter-mile length. 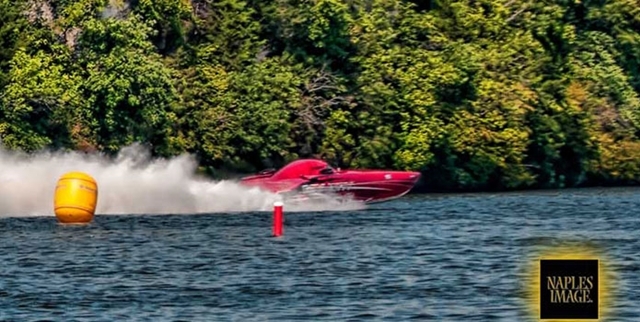 While they had hoped for more—Cosker believe he can get the boat to 210 MPH on the course—they reprised their 204 MPH effort and claimed the Overall Top Gun title again. With a 204-mph performance, American Ethanol reprised its role of overall Shootout Top Gun. Photo by Pete Boden/Shoot 2 Thrill Pix. As he has for several years, Tony Chiaramonte, one of the owners of DCB Performance Boats in El Cajon, Calif., ran one of his customers boats in the event. 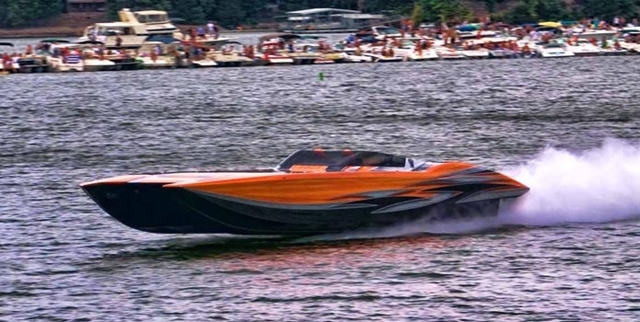 Last year, he piloted a DCB M35 catamaran powered by Mercury Racing 1550 engines to 167 MPH. This time around, he ran another new DCB M35—called Top Secret and owned by longtime DCB clients Shawn and Stacy Gibson of Oklahoma—powered dual calibration Mercury Racing 15501350 engines to 168 MPH. “That was good enough for me,” said Chiaramonte, who kept the boat at docks for the rest of the competition after that pass. 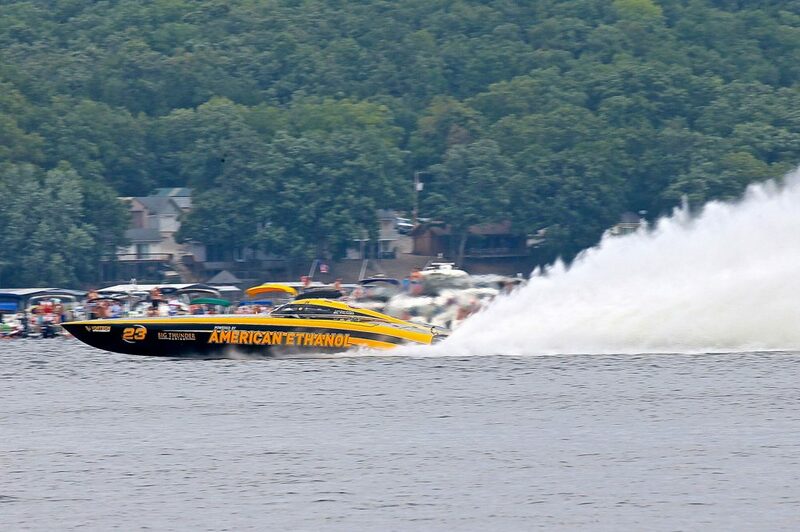 Tony Chiaramonte ran a DCB M35 catamaran to 168 mph in gusty conditions. Photo by Pete Boden/Shoot 2 Thrill Pix. Coming all the way from Ontario, Canada, Mark Weigl of Tuff Marine provided one of the most impressive performances of the weekend. Weigl ran his 28-foot V-bottom, which is powered a Mercury Racing 860 engine, to 125 MPH. In ideal conditions the boat reportedly will top 130 MPH, but given the less-than-ideal conditions on Saturday and Sunday Weigl’s efforts was remarkable. Two of the most unusual and sharply contrasting boats in the history of the event took the course during 2018 Shootout. The first electric boat ever to compete in the event reached 25 MPH. Driven by Boating magazine’s Randy Vance, the 22-foot Calypso V-bottom was powered by an 80-hp, 66-kilowatt Torqeedo outboard motor hooked to a BMW i3 battery. On the flip side, competitor John Hice of Panama City Beach, Fla., ran his 1,300-hp, single turbine engine-equipped 25 SVT Warlock catamaran from a standing start—rather than the allowed 40 MPH start speed—to 112 MPH. Mystics at Lake of the Ozarks Shootout: What Will Compete?